Hanoi ? 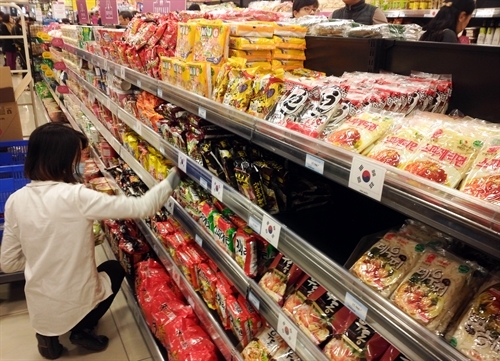 Domestic retailers must improve competitive ability as the sole way to compete with foreign retailers for their survival in the future, according experts in the retail industry. At an online dialogue on the Government website chinhphu.vn yesterday, on improving competitiveness of Vietnam’s retail industry, Vo Van Quyen, head of the domestic market department under the Ministry of Trade and Industry, said Vietnam has 8,660 markets, 800 supermarkets, 168 trading centers and 1 million household shops, while the modern retail channel has met 25 per cent of local consumer demand.